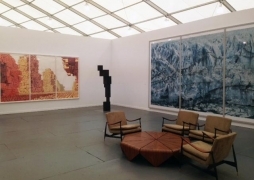 We look forward to seeing you at our booth (B45) at Frieze Art Fair on Randall’s Island in New York; for more information on the fair, including directions and ticketing information, please visit the Frieze Art Fair website. 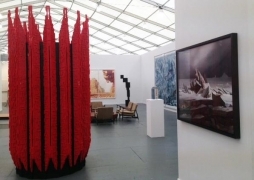 For all inquiries on the gallery’s program and works to be exhibited at the fair, please contact Cécile Panzieri (cecile@skny.com) or Lauren Kelly (lauren@skny.com) via email or at the gallery (212.239.1181). Timed to coincide with the fair, the gallery will open two concurrent exhibitions: Rebecca Horn: The Vertebrae Oracle and Forms of Attraction: Kjærholm, Tenreiro and Selected Works with a reception on Friday, May 9 from 6-8pm. 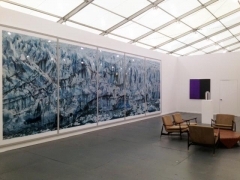 Further, the gallery is participating in Frieze Art Fair's "Chelsea Night" and will remain open until 8pm on Saturday, May 10.